From 16. – 19.03.2017 the most important Turkish automation exhibition took place in Istanbul. ViscoTec with its brand preeflow shouldn´t be missing. 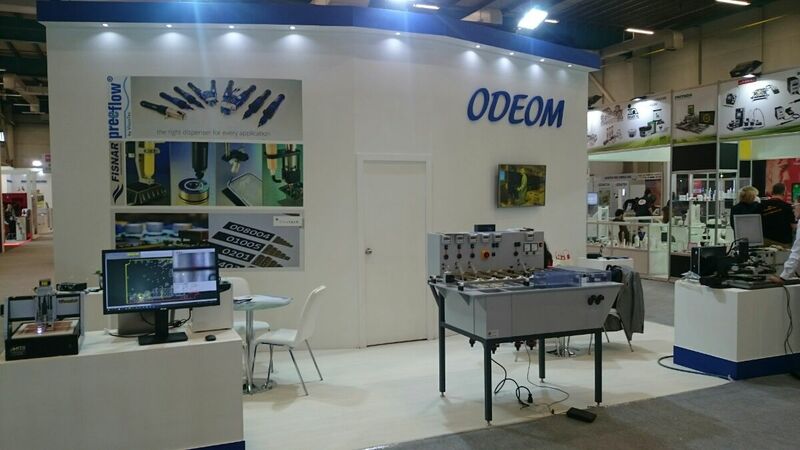 The products were represented by the Turkish distributor Odeom. The contact person Ferit G. Selcuk from Odeom about the exhibition: „The 4 days at the exhibition were an enormous success with a lot of interesting and promising contacts.” The booth had a great modern design with the products of the preeflow “family” as eye catcher. The WIN EURASIA automation includes fields like automated manufacturing, electric and electronic technologies, drive and materials handling technology, as well as various industrial equipment. For about 70.000 visitors the EURASIA is one of the most important information platforms with a very high scope of new solutions and services. A very wide range of different components for the automation is represented and particularly dispenser for dosing applications. A lot of exhibits offer high efficiency in the highest possible standard and on the latest state-of-the-art level.